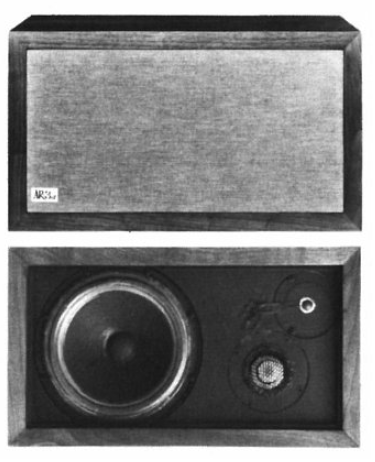 The AR-3a was Acoustic Research´s High-end speaker and customers had to pay around 500$ to buy a pair, a fortune at the time. In the manual (see below), the company describes the AR-3a as “the best home speaker system we know how to make” and it is even today an impressing vintage speaker. 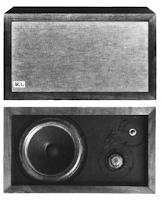 The AR-3a had to comply with highest expectations, as the original AR-3 (developed in the late 50ies) was the highest quality speaker available for nearly a decade and had been used in a variety of professional settings. 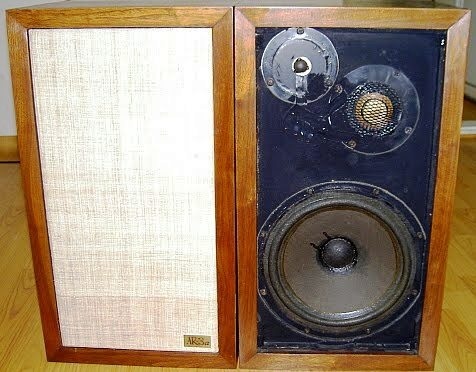 You can find information about the original AR-3 speaker from 1958 in our review. When the AR-3a was introduced in the mid 60ies it took over the role of the AR-3. Acoustic Research placed a new set of smaller dome midrange and tweeter into the cabinets. By 1966 Acoustic Research held more than a third of the US market shares in the speaker market, the highest share ever measured in the industry. An old AR-3a is definitely worth it to be refoamed. Many of the available speakers have broken or worn out foam surrounds which can easily be replaced. A refoaming kit can usually be bought for around $30 and replacing old foams will just take around 1 to 2 hours. There are surrounds available that fit to a variety of speakers and some that are produced for very specific speakers, such as red foam surrounds for CW speakers. The AR-3a does not need a specific kit and it is fairly easy to install a kit. It does not require any particular skill, just a calm hand and a little patience. We tried out a variety of available foams and recommend to use this 12 inch refoam kit by parts express. The AR-3a is a three-way speaker and measures approximately 25” x 14” x 11½ ” inches and weigh about 46lbs each. It´s cabinet is made of real walnut veneer, grills are mostly cream colored. Each speaker has a 12 inch woofer, a dome midrange and a ¾ inch dome tweeter. High and mid-frequencies can be additionally adjusted at the back of each speaker. I can recommend to place the AR-3a´s on small stands, in this case solely to keep them a little cleaner and safer. The sound of the AR-3a´s is very warm, but clear. Considering the fact that the speakers are nearly 50 years old, their bass is strong too. However, not rock or heavy bass music, but music with classical instruments or in general classical music lets these speakers shine. A big pro for these speakers is the huge variety of replacement parts available. You can constantly find replacement screens, refoam-kits (but you need to know how to refoam!) or little “AR-3a” logos on ebay. If you consider buying one of these vintage favorites you have to be aware that they can cost quite a bit of money and sometimes it can be beneficial, if you know how to restore vintage speakers, as many have worn down parts. A big plus is that there are many restoration guides, some of which are very detailed. 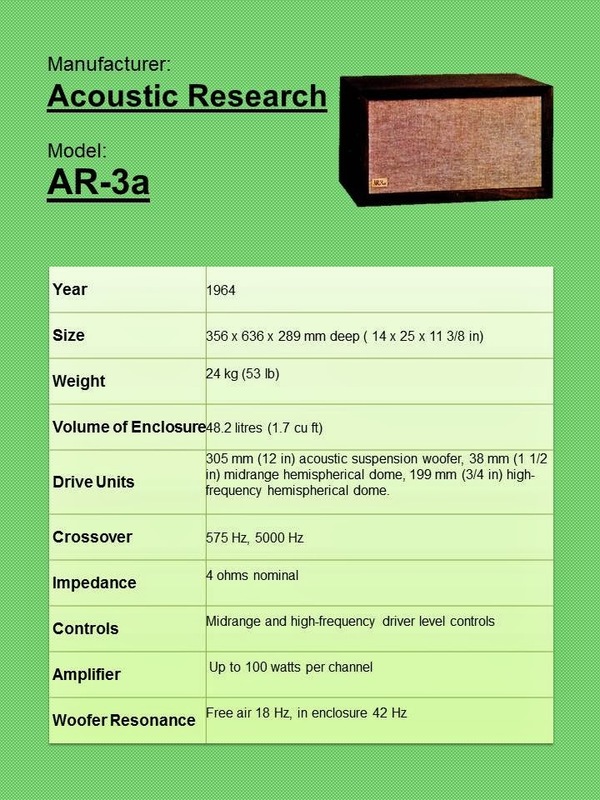 A quote from the original Acoustic Research owner´s manual: The Ar-3a is the best home speaker system we know how to make. It has been designed to reproduce music as accurately as present day knowledge of acoustics and electronics permits. In addition to incorporating the 305mm (12in) bass driver with which AR introduced its acoustic suspension systems to home listeners, the AR-3a was the first speaker system to use two miniature hemispherical speakers developed by AR to give better midrange and high-frequency response. The new miniature speakers offer an unprecedented degree of accuracy in their respective ranges. Drive Units: 305 mm (12 in) acoustic suspension woofer, 38 mm (1 1/2 in) midrange hemispherical dome, 199 mm (3/4 in) high-frequency hemispherical dome. AR-3a Price: $800+ in good condition up to $1400. How much are they worth as I have a set of Rogers compact ar3,speakers? One information if is possible, my AR 3a pair are with 65035 and 65131 as serial number, so not matched like consequential serial number, is strange you know because? they were never sold with consequential serial numbers. I got a pair at sound salesman discount and picked them up from the factory in the sities. These speakers were exceptional in their day, but even today (nearly 50 years on), you are hard pressed to find a speaker that reproduces the spoken human voice better. For example the spoken intro on 'You Took The Words Right Out of my Mouth (Hot Summer Night)' (Meatloaf) still today sounds incredible. My experience with Acoustic Research's customer service was fantastic. When mine were about 18 years old they worked but with a scratchy tone control. They were well outside guarantee (5 years). I wrote to AR, and they send me some packaging and then arranged to pick them up, repaired them and returned them to me, all without charge!!' Given that a pair weigh 106 lbs (52 kgs), the carriage alone would have been expensive. Now that is fantastic service for you, and shows what pride a manufacturer has in their product. A good pair are still a joy to listen to;, they have a lovely sound in the right room, but you do need a powerful amplifier to get the best out of them. put a SOLD sign on them $50 bucks minus 30% for senior day!!! I recall the early 60's when the rich only had these babies.. I think I heard them @ a Stereo Shop in Falls Church VA. in 66'. Wow, that is a steal! Congratulations. I will never, ever sell mine. This part of the review is baloney: "However, not rock or heavy bass music"
I have FOUR AR3a I just bought for, let's say, a pittance, but at least two need refoaming; the good news is that one pair has the early heavy Alnico magnets. One pair of grilles is missing now but the other was redone in an attractive darker brown light cloth. I plan to rebuild all speakers and resell a pair, because i also got (free) a pair of large Advents (walnut) in excellent condition except for refoam needs also. I have a pair of 3a, serial numbers 3A 01352, and 3A 01364. They are unmolested. The have never been opened, completely original and the cabinets are in pretty nice shape (given their age): no water stains, no chips, a little dusty and might like some good oil. The cross-over pots could use some TLC, but, all in all, not bad. I am certain (given the S/Ns that these were bought in a pair when they were new. My question is: is there anyway to date these without opening the cabinets? I have an all original pair of AR3a Improved with original crivers that my father purchased brand new. I was wondering if anyone has seen a pair with the original cabinets in Zebrawood veneer. I have never seen another pair in this finish. I have a pair of AR3A speakers that were stored in a barn for years. Unfortunately water damage. Lost the speakers themselves. And the bottom of one of the cabinets was damaged as well...But I still think the cabinets themselves could be restored and wonder if it may be worth it to list them on ebay for someone with just the speakers...could be a worthwhile project? I have a pair of AR-3a speakers in the rare birch finish. They sound great and are cosmetically excellent. I'm just learning about them, as I don't really have a place for them, and I'm planning to sell. 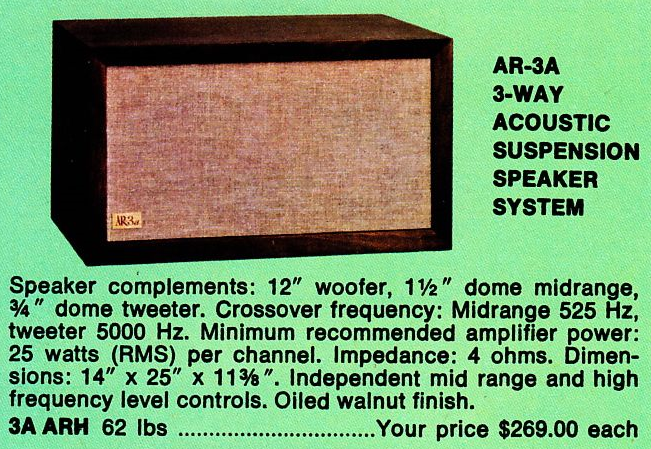 In the 80's I was super into high end equipment, but I don't know much about AR speakers. What do I have here?